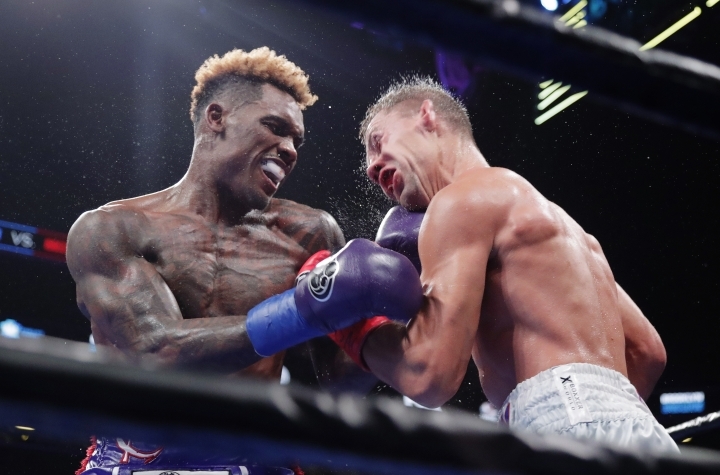 NEW YORK — Jermall Charlo had every reason to be distracted when he entered the ring to defend his WBC interim middleweight championship. 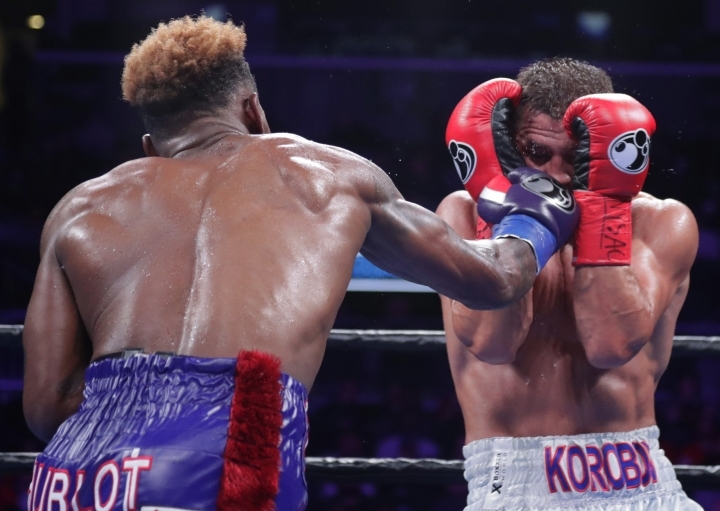 Minutes before his bout with Matt Korobov, Jermall's twin, Jermell, lost a unanimous decision to Tony Harrison, costing Jermell his WBC super welterweight crown. It was a new experience for both Charlos, who entered Saturday night unbeaten. "I felt like Jermell made his fight harder than it was," he said. "I had a really tough opponent, but he wasn't better than me. There was a lot on my mind in the ring." "I haven't been that far in a fight in a couple of years. It felt good to be in there, get hit and bang with someone," Jermall added. "He was an experienced guy who will make me better." 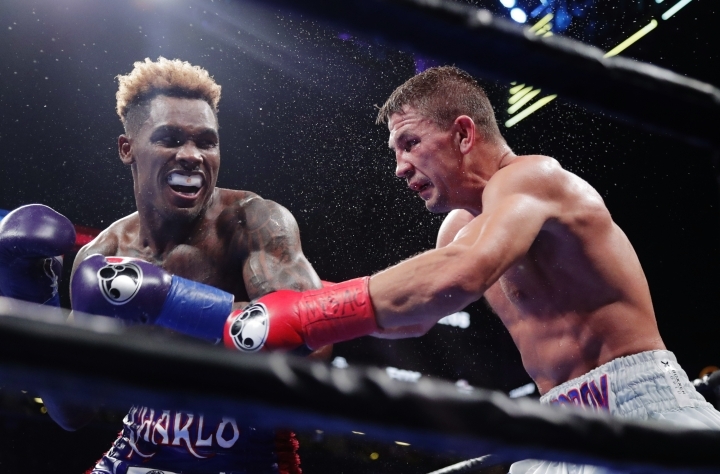 When the verdict was announced, Harrison leaped around the ring in celebration while Charlo stood in disbelief. 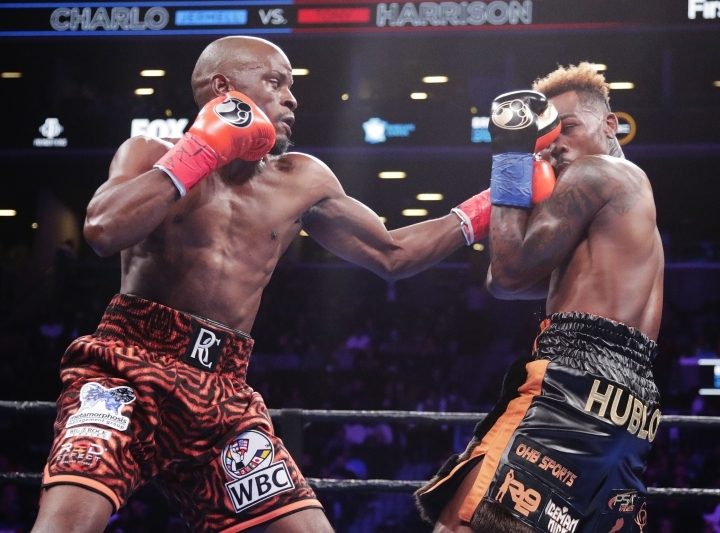 Soon after, Charlo broke into Harrison's interview on Fox to say "You know I won this fight." "I got back to my corner after every round," Harrison said. "They told me to just keep doing what you're doing. You're dictating the pace. I dictated the pace. That's what champions do. Champions don't just try to knock people out. That's all he wanted to do. I dictated it. I used my jab. I dictated the fight. That's what champions do." 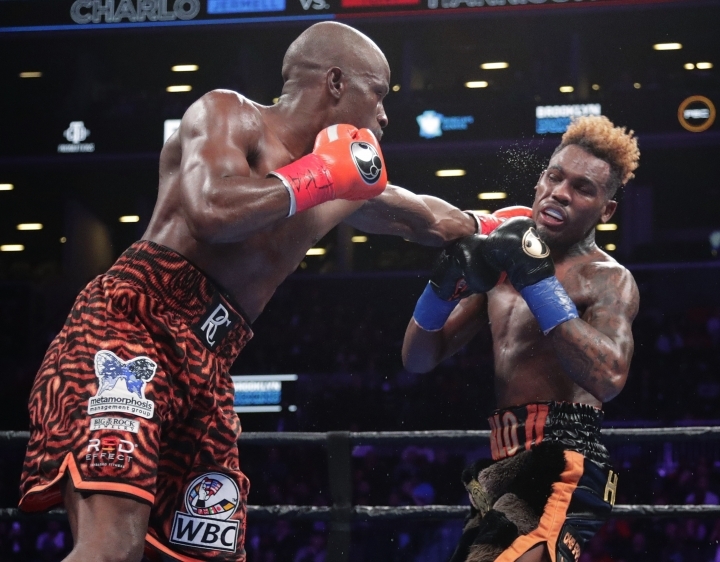 "They took that fight from me," Charlo said. "I was pressing the action. He didn't win that fight. I'm going to get my belts back." "He's a great champion," Harrison said. "I've seen him in the gym, he's a hell of a champion. I used my ring generalship. "Jermell, you gave me a shot, I'll give you a rematch." 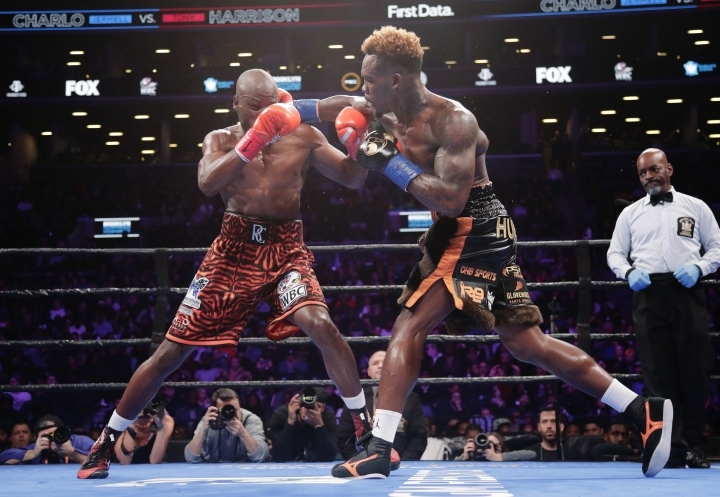 For his fourth defense of the title he won by knocking out John Jackson in May 2016, Charlo, 153 1/2 pounds, entered the ring in a black robe with a lion's head. Harrison wasn't outdone in the costume department, though, sporting and orange-and-black swirled pattern on his warmup suit, with his name and No. 7 on the back. He also was wearing eyeglasses and a bandanna. After the victory, he was wearing a huge smile that didn't fade even as the fans voiced their displeasure. Breazeale, 33, has lost once, to Anthony Joshua for the IBF heavyweight crown 2 1-2 years ago. 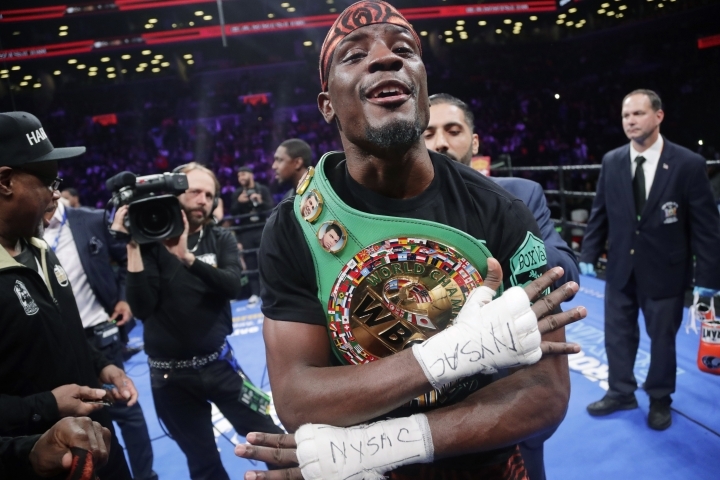 He's hoping to get back into the championship picture as a WBC mandatory contender for Deontay Wilder's belt. Wilder was at ringside to see Breazeale improve to 20-1 with 18 knockouts. "I'm next in line for Deontay Wilder, I'm coming for him," said Breazeale, who outweighed Negron, 30, by 30 1-2 pounds. "I've been waiting for him and I did what I had to do. I'm ready for him now."